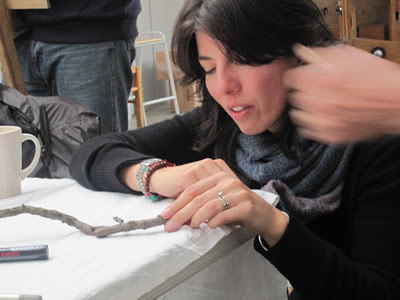 We were lucky to have a new life model today, Manson, a female Boa Constrictor, she took to the role very well, took up wonderful poses and held them beautifully. 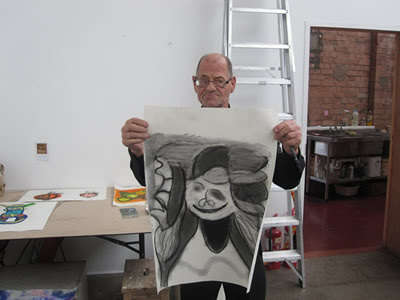 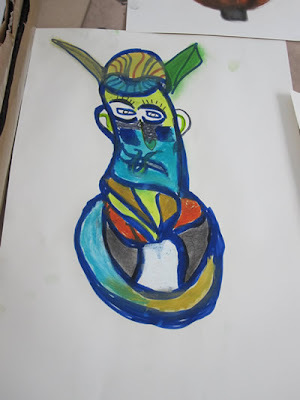 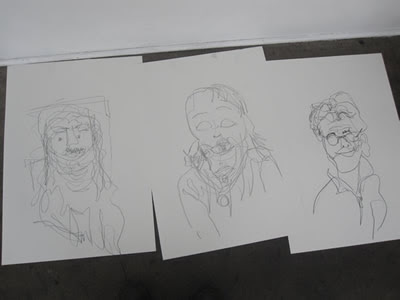 We set out to use the Learning Revolution funding to run a drawing workshop at the school for the local adult learning group, art + power, who without funding have been unable to run activities for their members for many months. 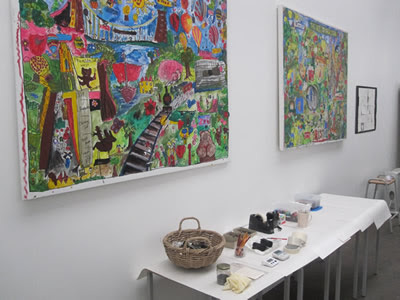 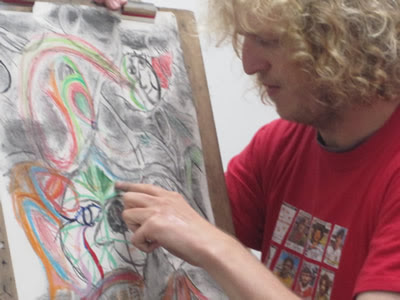 art + power supports participants who are disabled, Deaf and/or people who face social exclusion to achieve their creative potential by facilitating support from a wide range of groups and individuals. 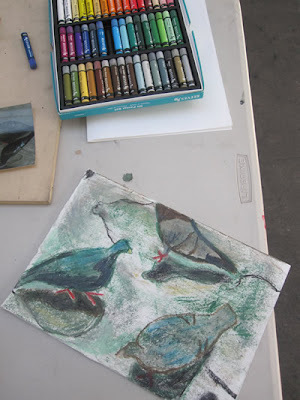 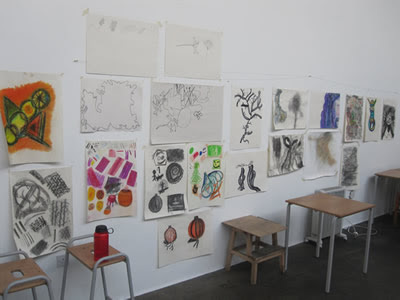 For the workshop, which was led by the landscape artist Kate Raggett, we explored different ways and materials used to make drawings. 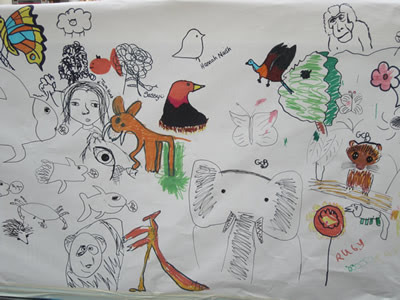 Using inspiration from nature and seasonal subjects we experimented with different methods of mark-making, initially working small scale and then really big! 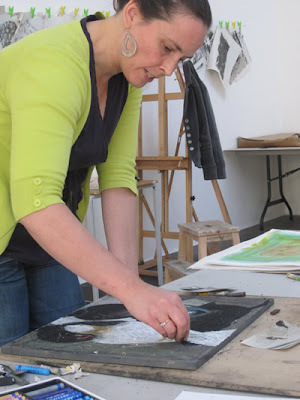 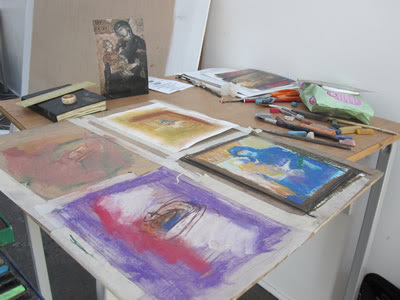 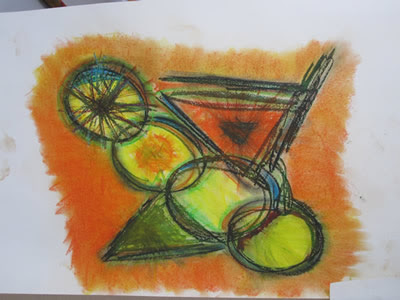 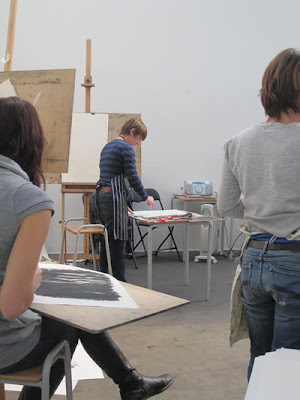 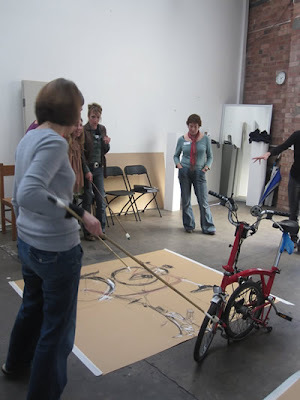 Participants benefited from the opportunity to explore their creativity, they enjoyed making the work and made the most of the instruction from Kate. 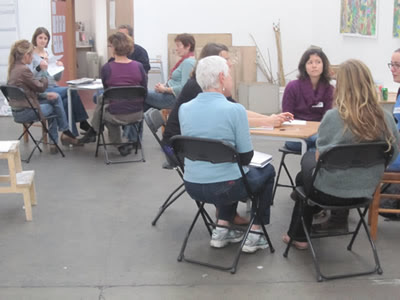 They also benefited from being able to meet each other were able to chat during the breaks and there was a notable increase in social confidence from all of them by the end of the day. 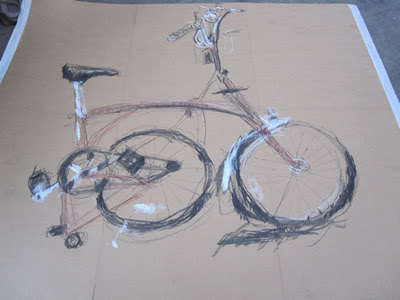 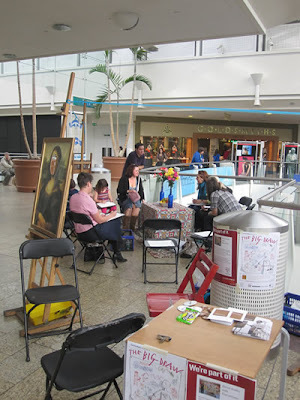 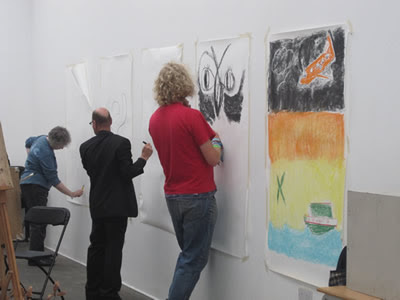 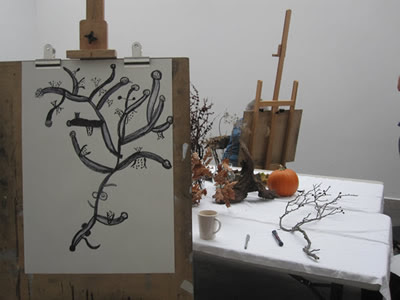 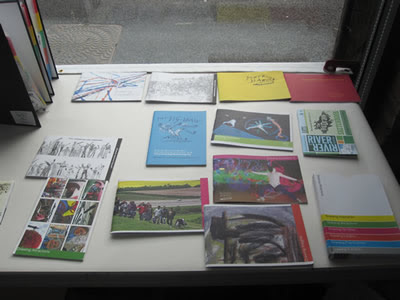 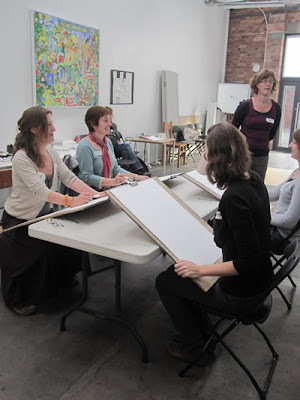 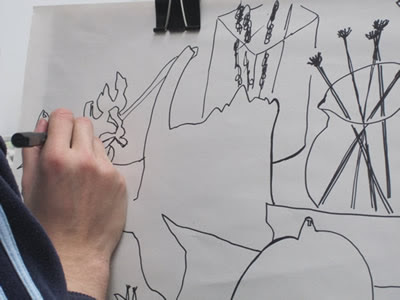 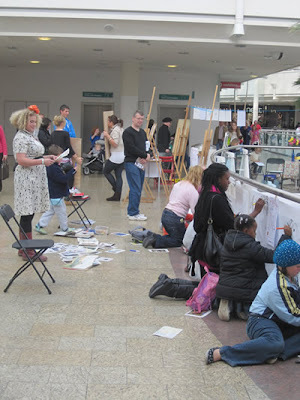 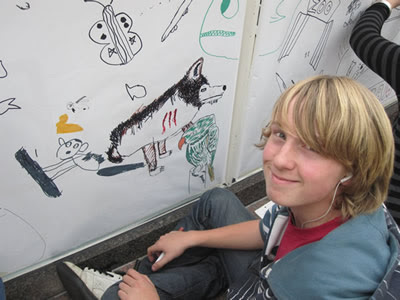 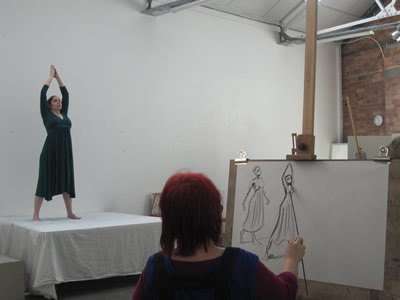 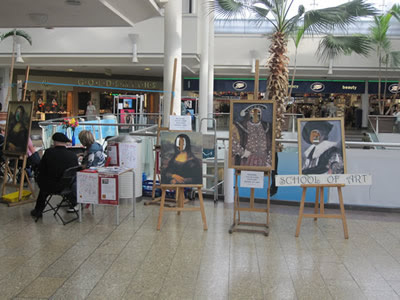 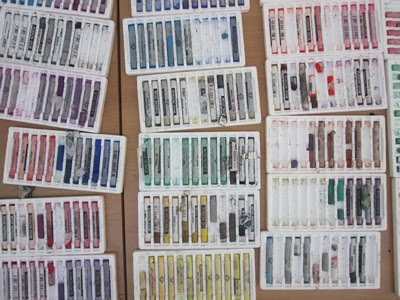 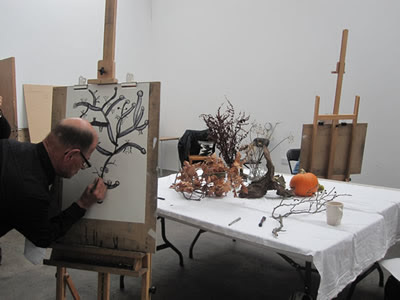 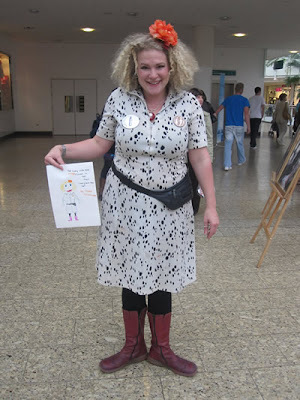 Bristol Drawing School and DRAW group provided a free day of information sharing, drawing resources and a guide through how to develop and run a Big Draw Event in your community or place of work. 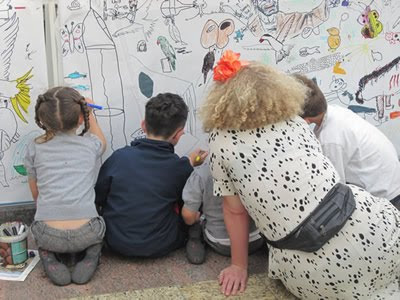 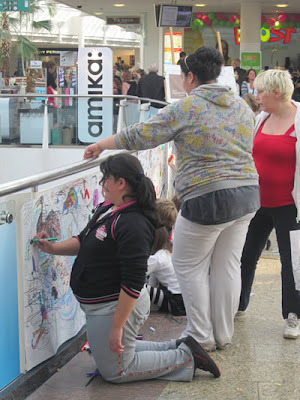 The theme of the day was ‘What is the Big Draw Campaign all about?’ with practical tips, ideas and useful resources as well as an opportunity to explore the drawing potential pertinent to your community situation. 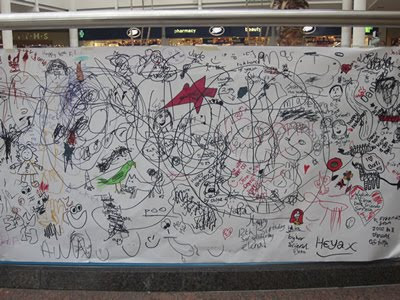 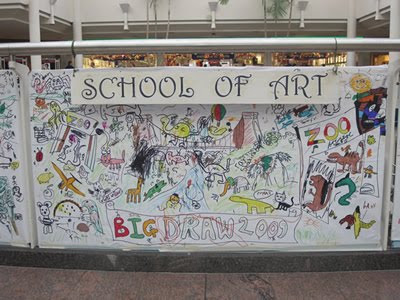 Our second Big Draw 2009 event and another successful day. 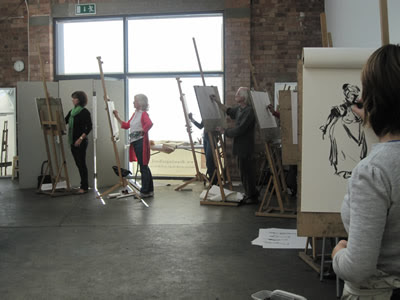 The Fine Artistes were on hand again to entertain and inspire. 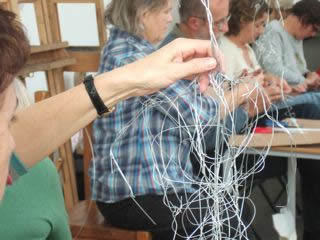 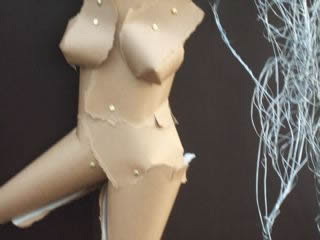 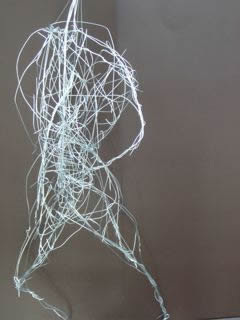 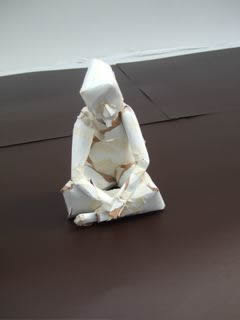 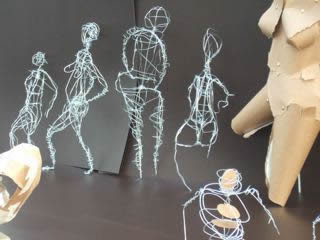 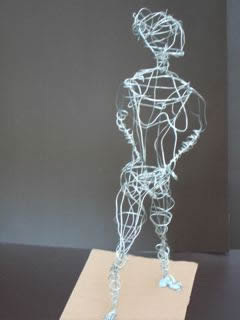 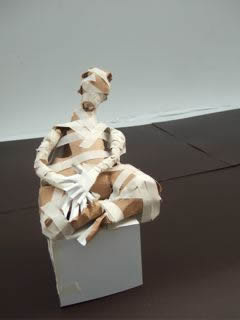 Sara Easby's wire workshop was very successful, below are some pictures of the work produced.